Marin Mazzie has been a Broadway performer since the 80s. 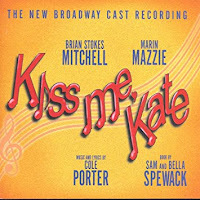 She has been nominated for three Tony awards including on for the 1999 revival of the Cole Porter musical Kiss Me, Kate. She was born Oct. 9, 1960 in Rockford, IL. After performing as a child, she earned a degree in theater and music at Western Michigan University. After graduating in 1982, she moved to New York and was mostly an understudy. Her first big role was as Clara in the 1994 Stephen Sondheim musical Passion. She got her first Tony nomination. Marin got her second Tony nomination for the 1998 musical Ragtime. 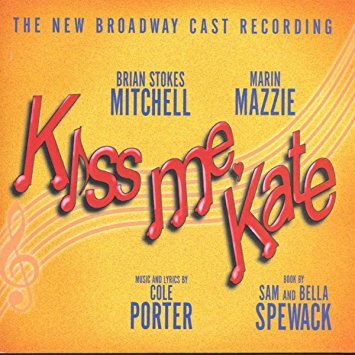 And then she got her third nomination for the 1999 revival of Kiss Me, Kate. She was also in the 2001 London production. Marin continues to appear on Broadway including as Guinevere in a 2008 production of Camelot that was broadcast on PBS's Live At Lincoln Center. She has also appeared in ENRON, Bullets Over Broadway: The Musical and most recently a revival of The King And I. She married Broadway performer Jason Danieley in 1997 and they tour together and have recorded a couple of albums. She hasn't done much TV or film. You may have seen her as Kevin Nealon's antagonistic neighbor in the CBS sitcom Still Standing. Marin is also an ovarian cancer survivor and she does a lot of benefit shows for that. Here's Marin Mazzie with Brian Stokes Mitchell performing So In Love on The Rosie O'Donnell Show 2000.